Nano makes a Comeback... And How! On trak.in, we’ve actively covered news related to the much-publicized Tata Motor’s Nano car – be it its high pre-launch expectations or the affordable alternative for Indian families in place of two-wheelers or even the unfortunate event of the petit-car bursting into flames. Over the past few months, the reputation of this “people’s car” has come up for instant drubbing on the back multiple instances of the dream car catching fire and raising questions of safety standards used to build this 624-cc car, in the minds of the people. Moreover, the key strategy for this low-cost car which was always to drive on the volume growth pattern led by demand from the lower-middle class of population, had back-fired on the back of fire-accidents. The overall dispatches of this small-sized car slumped to a record low of 509 units in November. Just to give you a feel of the fall in sales volume, the November dispatches came at less than 10% of what was notched in the month of September at 5520 units. However, the Nano seems to have witnessed a turnaround with its December dispatches coming at a healthy 5784 units, on the back of slew of recent measures aimed at reviving the sagging volumes of the Ratan Tata’s dream project car. Further, as the company’s new plant at Sanand in Gujarat became operational, the Nano’s production scaled new highs and the company added 10 more states to open fresh bookings in November; backed by increased promotional efforts and additional tie-ups with 29 finance institutions to facilitate fast-track loans to borrowers. In December, Tata Motors extended the warranty on the Nano car to 4 years or 60,000 km, which ever is earlier, at no extra cost, in a move aimed at sprucing up the sales. Further, the company had also launched an all new comprehensive maintenance contract at just Rs.99 per month for all new buyers of the car in yet another favorable gesture by the car manufacturer. In fact, people closely tracking the Nano story have to say that the petit car may have recorded much higher (retail) sales figures than what the saga of disappointing dispatch volumes for the month of November actually indicate. Further, the Nano will be available through Tata’s 874 outlets across the country. The sales for the Nano have surged dramatically in December backed by television advertisements, incremental rise in sales point in smaller towns and introduction of the 90% financing plan through its in-house vehicle financing unit Tata Motor Finance. Lastly, the Tata’s initiatives to spruce up sales volume for Nano are not just limited on marketing, promotional and finance fronts. The company has also retrofitted Nanos with additional protection in exhaust and electrical systems after recent fire incidents. 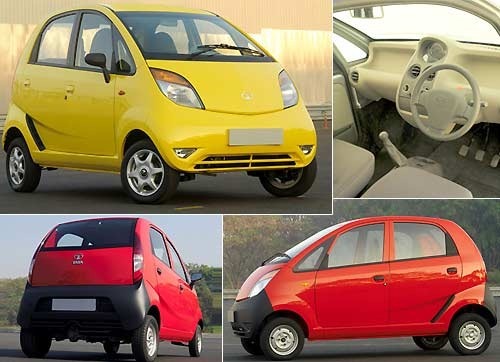 Will the dream car Nano rise up to the people’s expectations in 2011? Infosys results disappoint – Will others live upto Market expectations? Tata Motors Unveils TAMO Racemo, an Inexpensive Sports 2-Door Coupe! When errors can occur even in newly-launched premium hatchback models, some untoward incidences in a low-cost Nano cars should be given a benefit of doubt and be excused, to start with.